How can B&W speakers be made to sound so transparent, so natural-in effect, to "disappear", leaving only the actual music to be enjoyed? 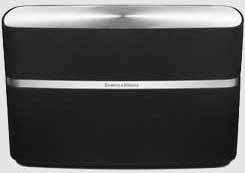 B&W research and development found that certain cabinet designs, driver design and materials were essential to create transparent speakers. They engineered internal cabinet brace and sound flow configurations, coupled with driver materials like Kevlar and carbon Fiber, for unrivalled clarity. 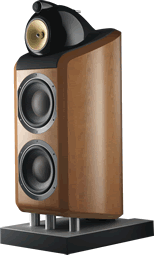 B&W's best loudspeakers offer highest performance at every level. Every driver employs Nautilus tubing, and each cabinet uses the multiple- cell "honeycomb" Matrix enclosure. A B&W diamond tweeter on all models! The result is a line of speakers that are the closest yet to musical perfection! Leave it to B&W to relentlessly pursue new technologies as they seek to continuously improve their speakers. No artificial additives, that's been B&W approach to sound quality from the very beginning. It's exactly the same with the new CM Series. By using their most refined drive unit technologies developed for reference-standard speakers such as the 800 Series, they've been able to hone the speaker down to its purest essentials. The CM Series uses minimalist crossovers of remarkable simplicity and quality, so what you hear is much closer to the sound of the original recording. In its functional perfection and understated elegance, it's nothing less than a masterpiece. Pure and simple. Designed for hi-fi and home cinema, the 600 Series offers extraordinary value for money: advanced B&W technologies, award-winning performance and outstanding design at an inconspicuous price. Zeppelin Air lets you play your entire music collection wirelessly. From your Mac or PC, or streamed directly from your iPhone, iPod touch or iPad. It works seamlessly with all your favourite music apps, like Spotify and Last.fm. Music is everywhere: how you play it is up to you. AirPlay on Zeppelin Air works seamlessly with your favourite music apps, like Last.fm, Pandora and Mixcloud. There are Three models in the iPod speakers family to choose from. 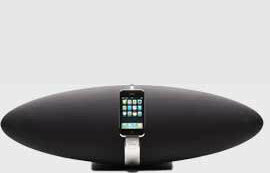 The original Zeppelin has become a modern design classic - the ideal all-in-one sound system for any space and occasion. 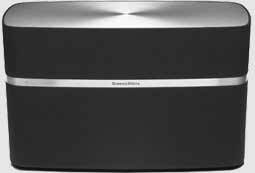 And now there's also the Wireless Music System A7 and A5, perfect for when you want a big sound in smaller spaces. Whichever Zeppelin you pick, you can be sure that your digital music will never quite sound the same again.